The ‘Preacher’ and ‘Warcraft’ actress has been tipped as an Oscar contender since the world premiere of ‘Loving’ at this year’s Cannes festival. The release of the first trailer continues to affirm confidence in the 33 year old Irish talent. 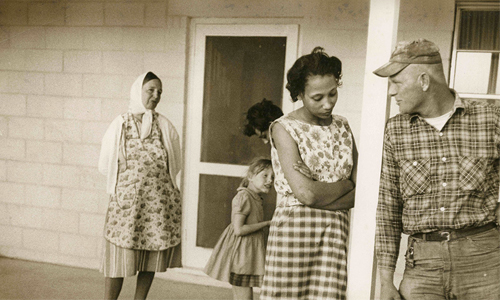 Jeff Nichols’ feature focuses on couple Richard and Mildred loving, whose interracial marriage causes them to face legal battles in 1950s Virginia, which eventually escalated to the US Supreme Court. Having previously been depicted in a 2012 HBO documentary entitled ‘The Loving Story’ directed by Nancy Buirski, the intimacy and determination of the Lovings is now captured by Nichols with the same subtle style established in his features ‘Mud’ and ‘Take Shelter’. ‘Loving’ releases to Irish cinemas on February 3rd 2017.